Philly Condo Management is unique, as it differs from others forms of Philadelphia Property Management. There are many condo buildings in Philadelphia, some boutique with only 3-10 units, while others are large with well over 300. Whether you need single unit Condo Management, or Condo Management for an entire building, this article is a great resource. Individual condo units are fee simple, and function much like single family properties, with a few exceptions. People invest in condos because they don’t require as much maintenance and general upkeep as a single family (there is no roof and many aspects are common, meaning that responsibility is shared). Typically there is an onsite maintenance department for emergencies, and sometimes, depending on the building, the maintenance department will even help owners out with routine issues for a reasonable fee. However, the need for Philly Condo Management arises for the same reasons as single and multi family properties – the owner needs a professional to handle leasing,maintenance, and accurate financial reporting. To do this effectively, a Philly Condo Management company will need to know the ins and outs of the Condo Management business. The Philly Condo Managementcompany should understand that there is an onsite maintenance department, so they don’t need to reinvent the wheel. Need to evict a tenant? To file for an eviction Philadelphia landlords are required to have a business privilege license and housing inspection license – so run out and get them, right? Wrong! Condo buildings are actually required by L & I to purchase the housing inspection license on behalf of their owners; something an experienced Condo Management company will know. Just like individual units, associations as a whole need to properly management. So, what goes into Condo Management association management? Maintenance: Larger buildings have onsite maintenance departments to handle common area repairs. Typically unit owners are responsible for all repairs which are inside of their own unit. Budget: The Philly Condo Management company which an association hires will be responsible to help in formulation of an annual budget. To do this, the Philly Condo Management company must be well versed in accurately forecasting expenses. Collecting delinquent dues: the Condo Management company will assist in collection of back dues, first,using their own staff. The next step is involving an attorney which has experience with the fair debt collection act, and of course Philly Condo Management. Payroll: All Philly condos have employees or independent contractors, and someone needs to keep track of these people from both a payroll and expense tracking standpoint. Your Condo Management company will be well versed in setting up payroll, and keeping accurate books. As you can see from the above descriptions, Condo Management is a specialized trade. Not just any Philadelphia Property Management company can jump into Condo Management, as there are specific skill sets and knowledge which is required to be successful. Of course, JG Real Estate is the natural choice! The broker, and owner, Jared Gruber sat on the board of directors of a 370+ unit condominium as the treasurer. He has true experience in developing a multi million dollar budget and tracking expenses. 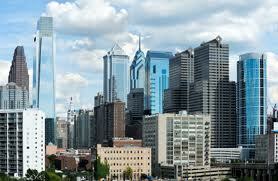 For experts in the Philadelphia Condo Management field, contact Jared Gruber with JG Real Estate!